Almonds are actually a stone fruit and therefore perfect partners to other stone fruits - in this case apricots. 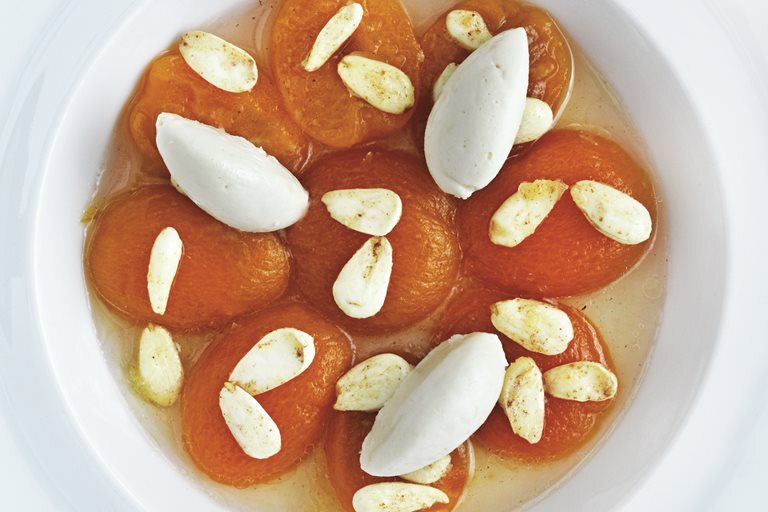 Phil Howard's recipe involves poaching the apricots in a rich liquid flavoured with chamomile, acacia honey and Sauternes wine, and serving with a creamy honey ice cream. Phil Howard has always been a ‘chef’s chef’, quietly notching up years of service and influencing the industry immeasurably. In March 2016, he sold his iconic two Michelin-starred restaurant The Square to open Elystan Street in Chelsea.